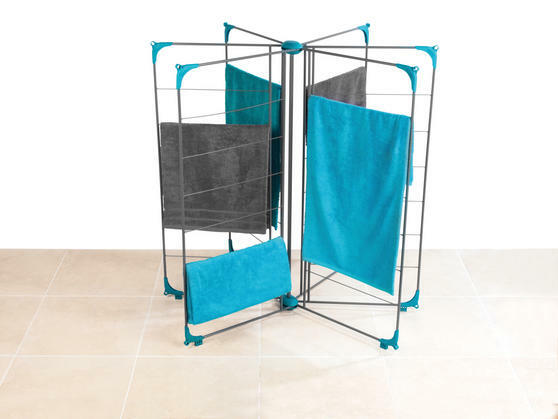 Use this fantastic Beldray Deluxe Airer as a handy clothes drying accessory, perfect for use inside the home or in the garden when the weather permits. 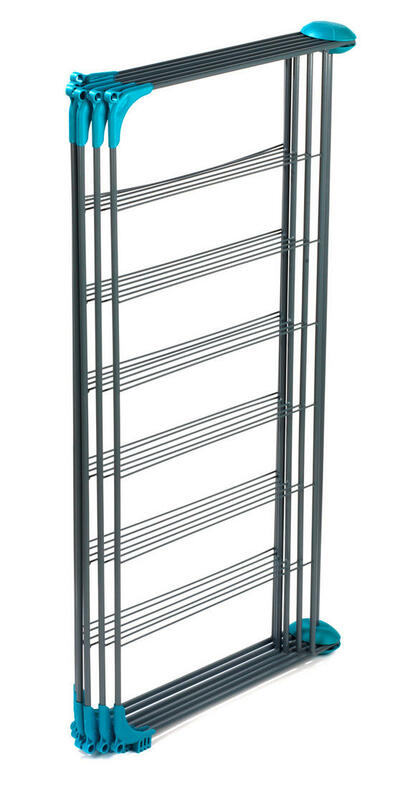 Made from powder coated hard-wearing steel, the airer is smart, reliable and delightfully strong. 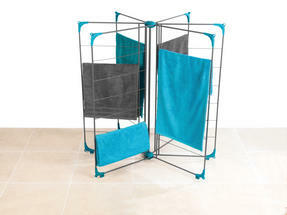 With a practical foldable design for easy storage and a whopping 18 metres of drying space – this Beldray airer would be the ideal addition to any home laundry kit. 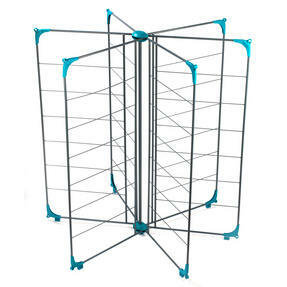 Dry your freshly cleaned clothes inside or out with this superb Beldray Deluxe Clothes Airer with an impressive 18m of drying space. Practical and compact, the airer has a simple foldable design, making it ideal for quick and easy storage around the home. 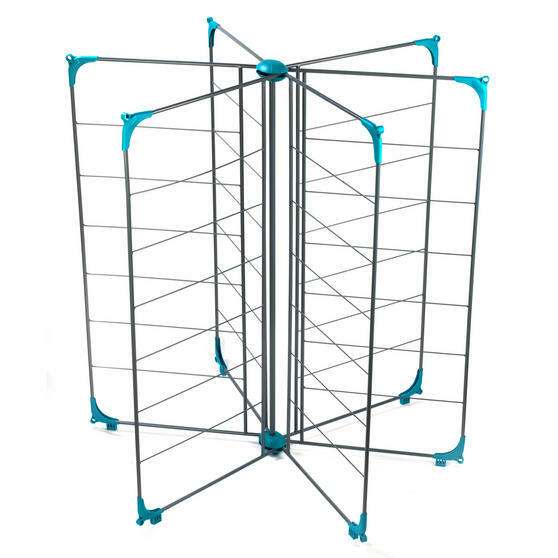 The clothes airer measures 104l x 4.5w x 110h cm and has a huge 18m of drying space, as well as handy corner holes for hanging. The line is made from tough steel wire which is long lasting and durable, so you can be confident that it will not snap during use. 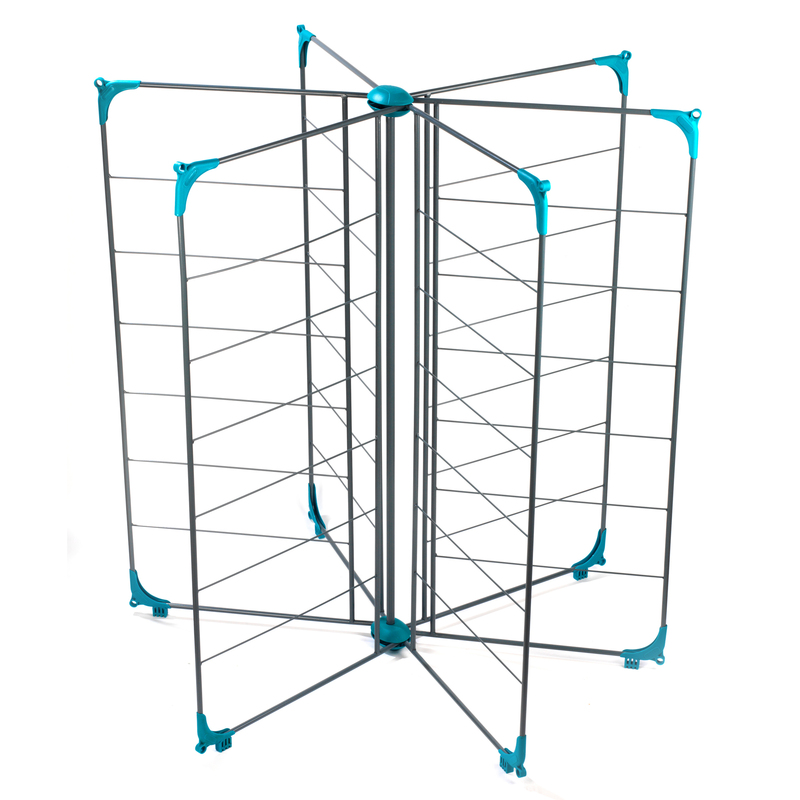 With a smart powder coating finish, the turquoise and silver coloured airer looks fantastic and will look perfect in any setting.